If fishermen aren’t involved in creating change, it really isn’t sustainable. When I started working in fishery management, the concept of sustainable seafood in the marketplace was in its infancy. Few grocery stores advertised environmentally friendly seafood products or based their brands on providing sustainable options for shoppers. Today, this landscape has changed. Most food industry leaders have made sustainability commitments, and as these businesses look for sources of sustainable seafood, they generate market demand for sustainable options and create rewards for fisheries that are well-managed. But what about the fisheries that do not yet meet the bar for sustainability? Are these new market incentives enough to create change? Not without support. Many of these commercial fisheries work at the margins of profitability. They struggle with issues of poaching, overfishing, and bycatch, but they have limited capacity to solve these issues on their own. These problems keep fisheries from expanding into new markets, pose a risk for seafood buyers who care about sustainability, and threaten the long-term survival of wild fisheries. We cannot ensure a global supply of sustainable seafood unless these fisheries improve. So how do we help these high-risk fisheries improve and increase the supply of sustainable options? It has to start on the ground. And it has to start with fishermen. That’s why we are so excited to launch Ocean Outcomes. Our team knows how to roll up our sleeves and tackle tough problems. We speak the language (literally) in the places we work, and we take the time to truly understand the challenges and constraints commercial fisheries face. Our experts work hand-in-hand with commercial fishermen and local communities to design practical solutions that improve the sustainability of fisheries, and we’re there to help fisheries turn these plans into reality. Through our many partners, we also help connect these fisheries to markets that care about sustainability so that they understand the economic value of investing in improvements. We are already seeing the power of this approach. 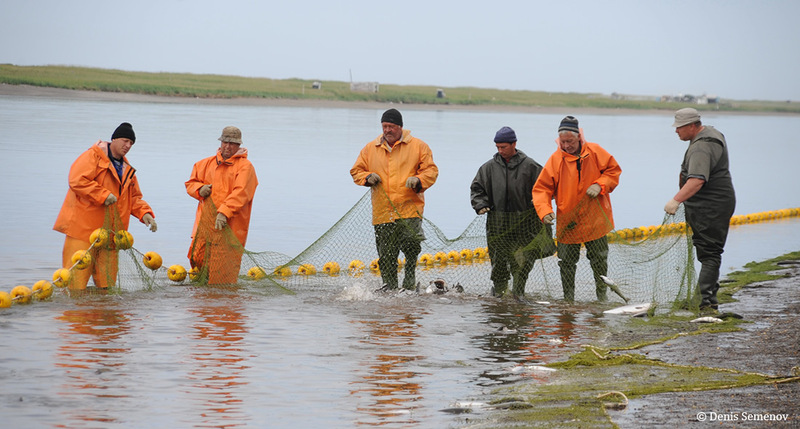 Our team in Russia has helped fisheries develop innovative observer programs that reduced poaching by sixty percent. In Japan, our team worked with fishing communities to conduct stock assessments and remove old dams to improve salmon runs. Globally, we help our conservation and business partners understand the improvements these fisheries are making so they can make informed sourcing decisions. As we expand our work to new places and new species, we hope to partner with more fisheries, more conservation organizations, and more businesses throughout the supply chain. We believe that together, we will meet the demand for sustainable seafood and go from a world in which the majority of fisheries are in trouble, to one in which the majority are sustainably fished. Please get in touch and join us!